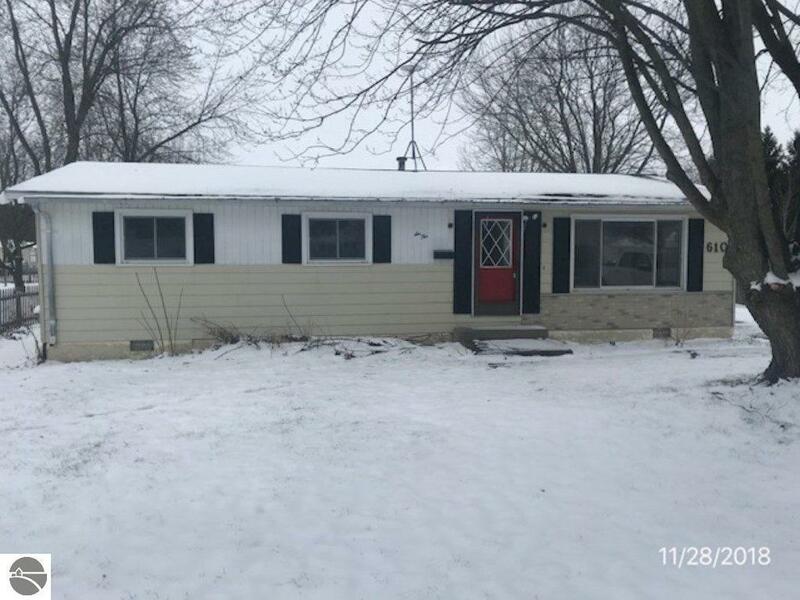 NICE 3 BED, 1 BATH RANCH WITH A HUGE POLE BARN STYLE GARAGE. HOME HAS A LARGE YARD WITH AN ADDITIONAL BUILDING. HOME IS IN GOOD CONDITION OVERALL WITH JUST A FEW TOUCH UPS NEEDED. THIS PROPERTY IS ELIGIBLE UNDER THE FREDDIE MAC FIRST LOOK INITIATIVE THROUGH 12/31/18 - OWNER OCCUPANT BUYERS ONLY THROUGH 12/31/18. INVESTOR BUYERS ARE ELIGIBLE AFTER THAT DATE. SELLER WILL PAY UP TO $500 TOWARDS BUYERS CHOICE OF HOME WARRANTY FOR OWNER OCCUPANT BUYERS ONLY.